If you’re stumbling across this post through the sea of results researching “business intelligence vs. reporting,” then maybe you’re already familiar with the unlimited interpretations and definitions of these two practices. Business intelligence (BI) in particular has entered buzzword status, and it means many different things, to many different people. But let’s cut through the theoretical debates and get down to real brass tax – there actually is a straightforward way to separate reporting from BI for companies using Microsoft Dynamics, and you need to make sure you are doing something about it. The risk of not clearly identifying and defining these: you’ll attempt to use the wrong tools for the job. Not only will this cost you mountains of wasted time, but you’re also in extreme danger of having the wrong data in front of you or giving it to someone else. Wrong data has a domino of consequences from bad business decisions to unaligned operations and auditing implications. But, instead of spiraling into these worst-case scenarios, let’s lay out reporting vs. business intelligence once and for all so you can avoid them. It’s important to clarify upfront that the “vs.” in “business intelligence vs. reporting” is a bit misleading. Both are paramount to business operations and both are required for an enterprise to function, thrive and compete. Reporting is about the past and current status. Reports tend to narrowly focus on a specific operation or dataset for a period (monthly sales, daily customer orders, weekly open AP, etc.). They also may initiate a short-term action – for example, a daily report of all the orders that need to be shipped along with where they should go will enable the fulfillment department to accomplish accurate and prompt delivery. Or, a weekly AP report can initiate a payment. Essentially, reports are micro. They are designed for operational staff like accountants, AP clerks, fulfillment managers, or salespeople to delay the lag between an eminent business need and the required action. Business intelligence (BI) is about the past – what happened and insight to change or improve it. Also known as “analytics,” BI looks at more expansive data relationships, perhaps even between multiple systems that collect data (such as CRM and GP), and identifies trends that can inform strategic business decisions and objectives that will improve overall performance across the entire operation. BI is macro. In contrast to a daily shipping report, BI would provide shipping performance over time, by region, by carrier, by warehouse, and by product to identify trends for different fulfillment teams, destinations, or carriers used. These datasets can inform changes or highlight duplications in effort, and help the business become more competitive. There is another important distinction BI brings to the table: governed truths. As we will outline below when discussing the technical execution differences between reporting and BI, with business intelligence, it’s possible (and required) to universally define goals and performance equations through KPIs and metrics that are calculated in the BI environment indefinitely. This ensures everyone pulls the same number, always, with no variations. BI puts a stake in the ground that almost instantly has everyone working towards the same clear and collectively identified goals. In short: no more boardroom meetings arguing about which numbers are right and why, the time is spent discussing action from accurate, consistent data. Now that we have abstractly distinguished reporting from business intelligence let’s dive into the technical application differences of these two practices. Understanding how the infrastructures contrast is arguably the most important. It will save you an unlimited amount of time trying to use the wrong tools for the job and mitigate the risk of getting inaccurate data into your financial statements, operational reports, or analytical dashboards. As reviewed earlier, reporting is most commonly a necessary, transactional-based exercise. For this reason, most reporting environments are based on the raw, two-dimensional database structure of tables and fields. For instance, the average Microsoft Dynamics NAV and GP database has upwards of 1500 tables ranging from Customer, Accounts Payables, Inventory and G/L areas, and include both master data tables (customer contact records, chart of accounts, item cards) and transactional (sales orders, invoices, etc.) data. In addition, reporting typically draws and refreshes data in real-time from the live production database. If that sounds overwhelming to work with, it’s because it can be – especially if you don’t have the right tools. However, reporting this way is not only necessary, but it is also optimal for many financial and operational tasks – where you need to see what is happening right at this moment and dive into individual, detailed transactions that compose the numbers the report reveals. The other good news is that third-party reporting add-ons built for Microsoft Dynamics, such as Jet Reports, significantly simplify and organize reporting from the native database structure. By offering familiar Excel integration for formatting, report building wizards, drill down/drill back, and optimized access to the data (think GP friendly names), users don’t require knowledge of the database structure to put together and automate comprehensive financial statements, order tracking, or sales reports. Overall, it’s important to recognize the limitations of reporting environments. First, you should never perform analysis for large volumes of data. For starters, performance from the live production database will be insufferable. Also, when it comes to analytics that reflects trends and summaries by wide varying breakdowns or company-wide goals and metrics, there is an extremely high risk of inconsistency and discontinuity because there are unlimited combinations in the ways data can be calculated or pulled together from the database. A good example of this could be Cost of Goods Sold (COGs). This data point does not exist in the Dynamics database itself. It is calculated after the fact, in reports, based on the desired inputs such as material purchases, supplies, overhead, labor, etc. However, there are multiple ways and preferences to calculating and analyzing COGs, which subsequently affects everything from summary income statements to sales analysis. Depending on an organization’s objectives, COGs may not include fixed costs such as labor – and the truth is most companies don’t ever define this universally. Consequently, reporting tools are used throughout diverse applications of attempted analysis. Everybody’s answer and everyone’s report are wrong because no one has truly defined what is right. The COGs issue is a small example of the exponential problem with using reporting tools to do strategic data gathering. Departments and individual people tend to vary how they treat metrics, key performance indicators (KPIs), and the source/location of the data they pull. And that brings us to introducing the distinctly different business intelligence environment. The overall concept of business intelligence platforms is that they take that raw, two-dimensional, live data, parse it down to only the relevant, useable pieces and then structure it, subjectize it, and finally, dimensionalize it, so the data is completely optimized for analysis. The start of this process is typically accomplished through the use of a data warehouse, which is a separate environment entirely from your production database. The data warehouse is not only a hyper-organized version of your Dynamics database; it supersedes a production database environment in terms of the data it can contain because it allows you to combine the data from other sources, such as CRM, a legacy ERP, or industry-specific system, into one, now consumable place. Also, you can consolidate the data pieces and eliminate clutter because the data warehouse is solely built, and exists for, getting the data out. In contrast, your Microsoft Dynamics database is solely built for, you guessed it, putting the data in. Alone, the optimized environment data warehouse is a valuable asset to any BI initiative; however, the data is still two-dimensional (table/field format) and does not contain any calculated measures or KPIs. Therefore, the real magic happens when OLAP cubes are built or delivered from the data warehouse. OLAP cubes do all the work by dimensionalizing all combinations of slicing and dicing the data ahead of time. They also allow you to store rules and pre-calculated KPIs, such as your COGs or Gross Margin, so results are available to delineate and breakdown on any other data point desired on the fly – and they are always consistent across users. For example, a Contribution Margin KPI can be obtained by salesperson, by product, by time, by region, or by reseller, or any combination thereof, INSTANTLY. That “INSTANT” part is one final important emphasis. As mentioned before, that is because data warehouse environments are not production, they are separate. Reports, dashboards, and analysis that come from the data warehouse and cubes are not “real-time,” nor should they be. The data warehouse is synced with Dynamics, and the other sources you connect it to, at defined intervals of time. Every night is extremely common, but in solutions that offer incremental loading and syncing, you can get much more sophisticated. For instance, you can refresh incoming orders every hour if having more current data on that is important for your operation, but save the rest of the refresh for overnight, mitigating any disruption on the system and data your drawing from during business hours. These truly are not “either/or” investments. If reporting is the bread, the must-have nourishment for survival, then business intelligence is the butter, elevating the bread by making it more consumable, relevant, and competitive – leaving you the ability to truly find your bread and butter. Perhaps a more helpful application analogy to summarize the difference between business intelligence and reporting is relating to the task of trying to get somewhere. Reporting is your map with all the data points, and it can be helpful to see the current landscape, but, it can be interpreted in a slew of different ways especially as it relates to the ‘best route.’ BI, in contrast, is the GPS that uses the map as a base, then culminates a combination of rules (do you want to avoid tolls? ), traffic conditions, speed limits, and other dimensional data to actually guide you and tell you the best way to get where you want to go. According to nearly all industry analyst and trend reports, such as technologyadvice.com and Gartner: BI is going to separate the winners from the losers in their markets. In other words, business intelligence isn’t a “nice to have”anymore, it’s emerging as a very necessary competitive survival tool. This is why business intelligence technology rapidly evolves, especially as it relates to the point of entry to meet the needs of small to medium-sized businesses, and how fast you can see return. Jet Enterprise is a complete BI solution built for Microsoft Dynamics and includes a pre-built data warehouse, OLAP cubes, and dashboards, so you can begin to use it, and see the value of BI, within a couple of hours. Not weeks or months it takes using the traditional business intelligence methods for building these environments, such as building a data warehouse using SQL code from scratch. Learn more about the difference between building and buying BI for Microsoft Dynamics. In addition, Jet Analytics has a complete real-time reporting environment built in, so you can consolidate your tasks into a single, proven platform used by over 154,300 Dynamics users. This also gives you the unique advantage of being able to report from either the live production database or the optimized data warehouse environment, giving you another dimension of flexibility in reporting while still enjoying the full power of complete analytics, dashboards, and BI. Drop us a line at sales@innovia.com, we would be happy to answer any questions you may have. To learn more about Jet Global, be sure to view the webinar link below. 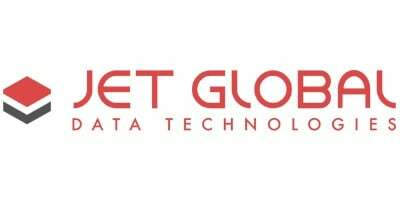 Jet Global is a collective of fun, passionate people dedicated to building and delivering the best reporting and analytics solutions available in the marketplace today. We devote our professional lives to providing unparalleled access to data through fast and flexible solutions that are cost effective, provide rapid time-to-value, and are built specifically for the needs of Microsoft Dynamics ERP users.